The last four months of 2018 found us constantly echoing our foundress St. Jeanne Jugan’s words, “Blessed be God! Thank you, my God. Glory be to God.” Indeed, we had many happy occasions to be grateful for the blessings and graces that God sent our way, particularly through your prayers, support and generosity. We started September off with our big annual fundraiser of the year – the St. Jeanne Jugan – Pot of Gold Raffle. Through the hard work of our committee members and volunteers we were able to make this a successful event, selling over 1,800 tickets and netting over $184,000, surpassing last year’s net income! Although it was chilly and rainy outside, inside Drexelbrook it was warm with the presence and support of over 750 people enjoying the reception. 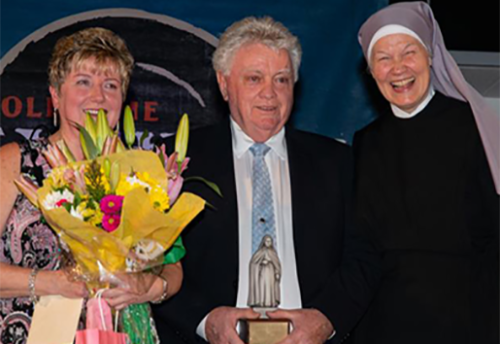 This year we honored Father Michael Olivere, pastor of St. Timothy Church; Kathleen Kagel, assistant director of nursing and staff member of 45 years; and Daniel DiMucci, Holy Family Home advisory board member. For a list of winners and sponsors, please see our Pot of Gold Newsletter. In October we had yet another fundraiser at La Locanda Restaurant in Newtown Square. This year they sponsored a two-day event, contributing 10% of the receipts to Holy Family Home. 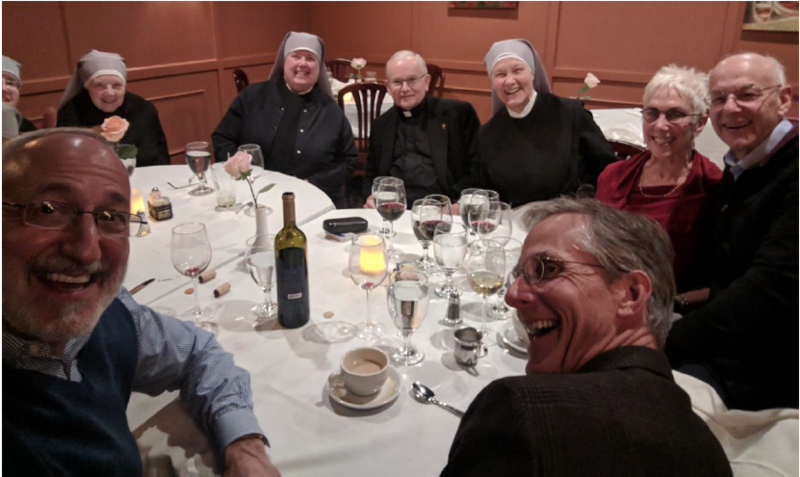 It was two wonderful days of meeting and enjoying a good meal with new and old friends and benefactors. We are grateful to the owners of La Locanda for holding this event for the benefit of our Residents. 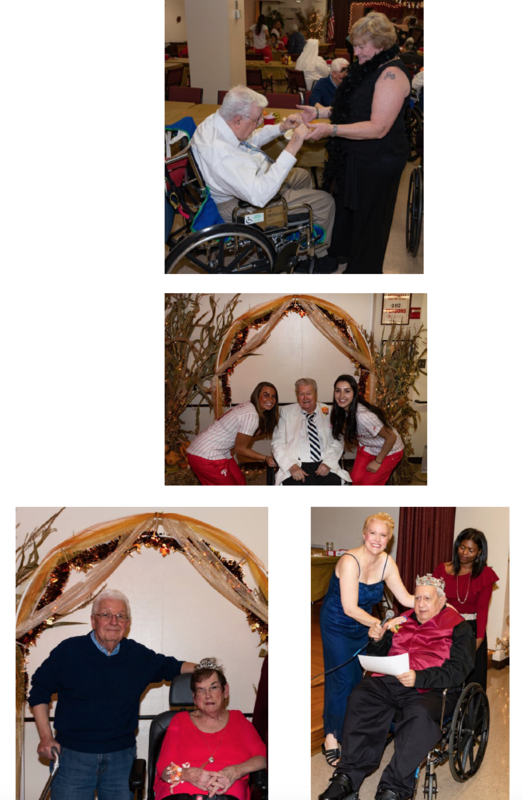 In November our Residents enjoyed attending a Prom! They were treated to free hairdos and makeover from Beke Beau Make-up and Hair Studio. They posed for photos, with the ladies looking elegant in their fancy dresses and wrist corsages, and the men looking sharp in their suits and boutonnieres. The staff came as their prom dates, dancing the afternoon away. Some of the Phillies ball girls came to join in the festivities and pose in pictures with the Residents. There was even a Prom King and a Prom Queen! 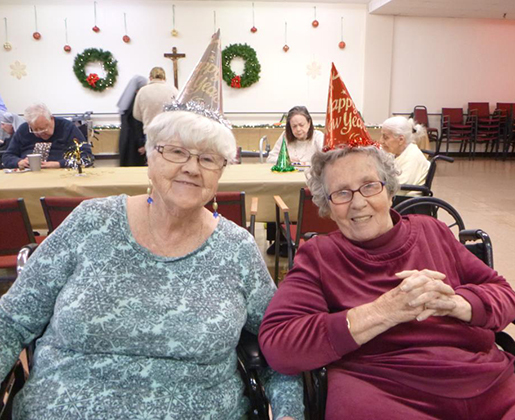 A good time was had by all as they swayed to the music and reminisced about their high school proms. 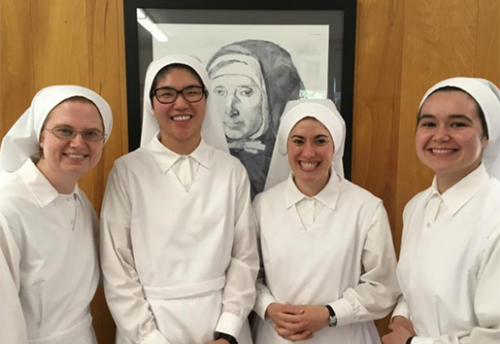 On December 8, Little Sisters of the Poor around the world, including here in Philadelphia, renewed their promises. 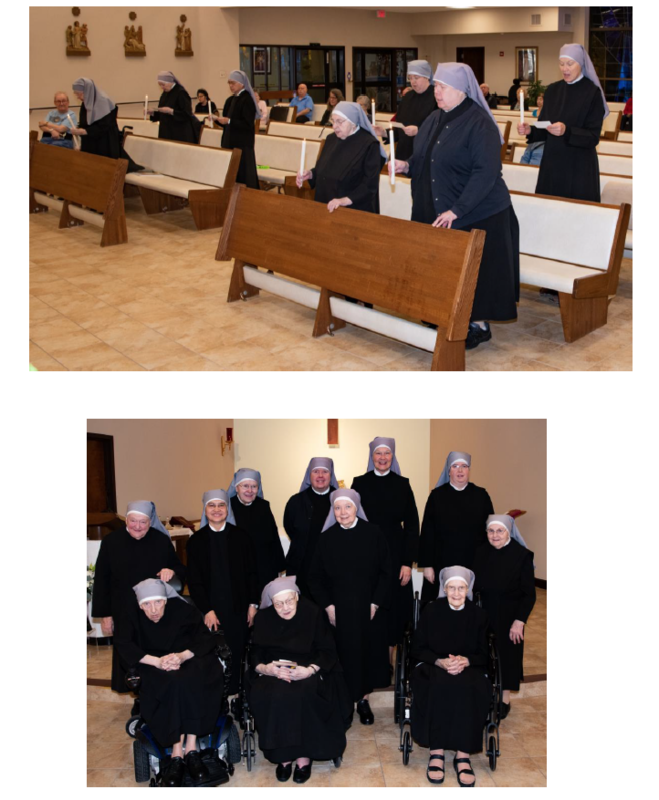 We are grateful for their religious vocation and their ministry of caring for the elderly poor. Please continue to pray for vocations to their Congregation. 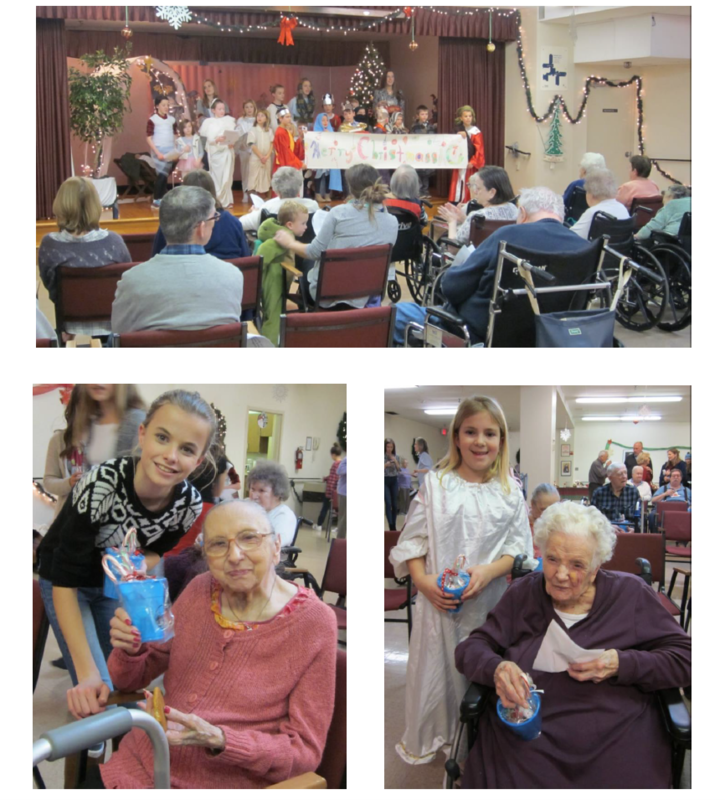 Various groups came to entertain and visit with our Residents during the Christmas season, including our Hospitality Club, which put on a Christmas play for our Residents. Afterwards they served refreshments and gave out little gift items to everyone. 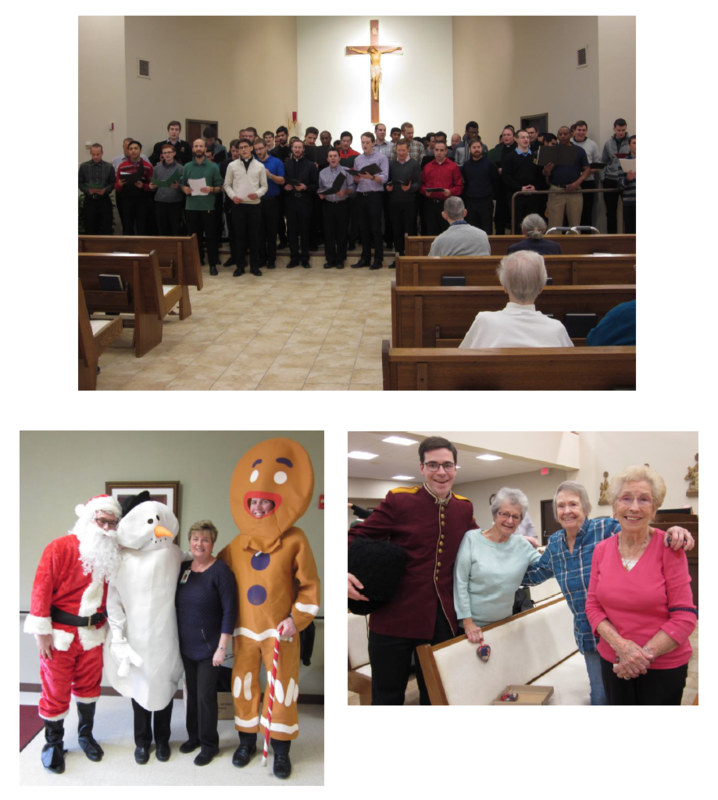 The seminarians from St. Charles Seminary came and put on their annual concert, a tradition that our Residents enjoy and look forward to every year. The Chapel was filled with their beautiful voices and the wonderful organ accompaniment by Bishop Timothy Senior. Our staff also had some celebrations. We sadly wished “Happy Retirement” to Don Carter, our Maintenance Supervisor, who worked at the Home for 50 years, and to Bobby Ports, who worked in our dietary and laundry departments for over 30 years. 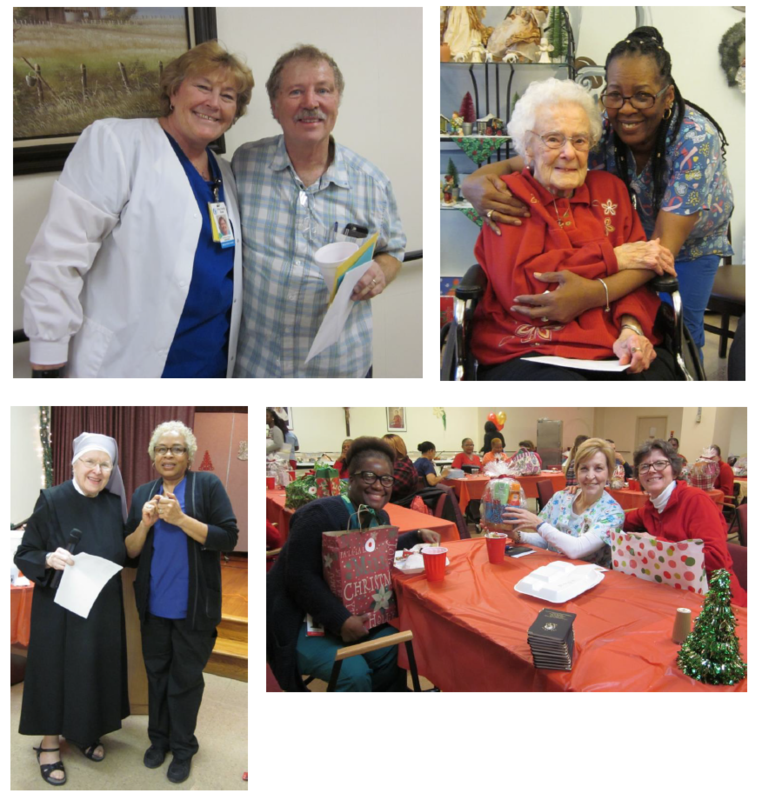 At the staff Christmas party, we honored employees who had milestone anniversaries. The staff then drew numbers for their gifts – beautiful bags and baskets filled with goodies, creatively put together by one of the Little Sisters from the Flemington home. 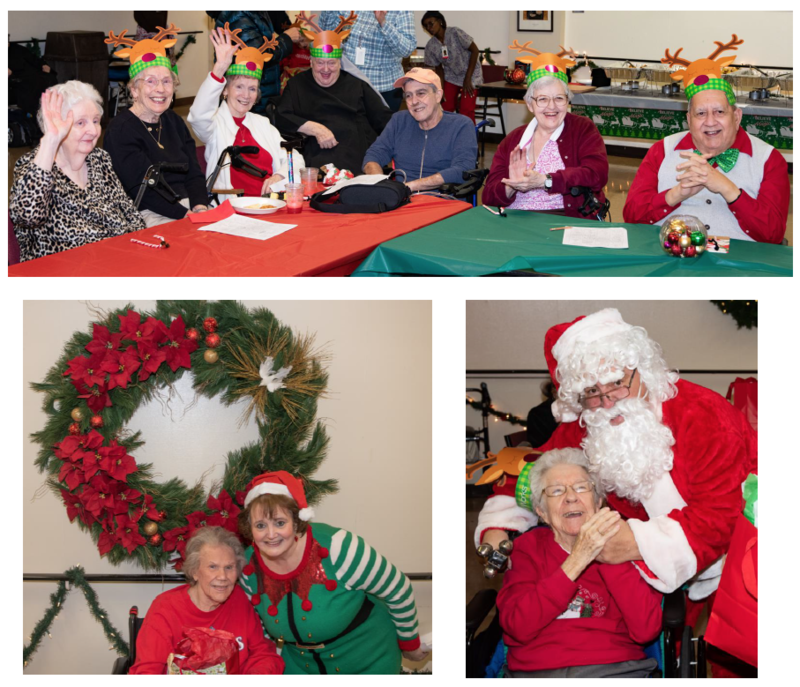 Our Residents enjoyed a festive Christmas party, with even Santa making an appearance. 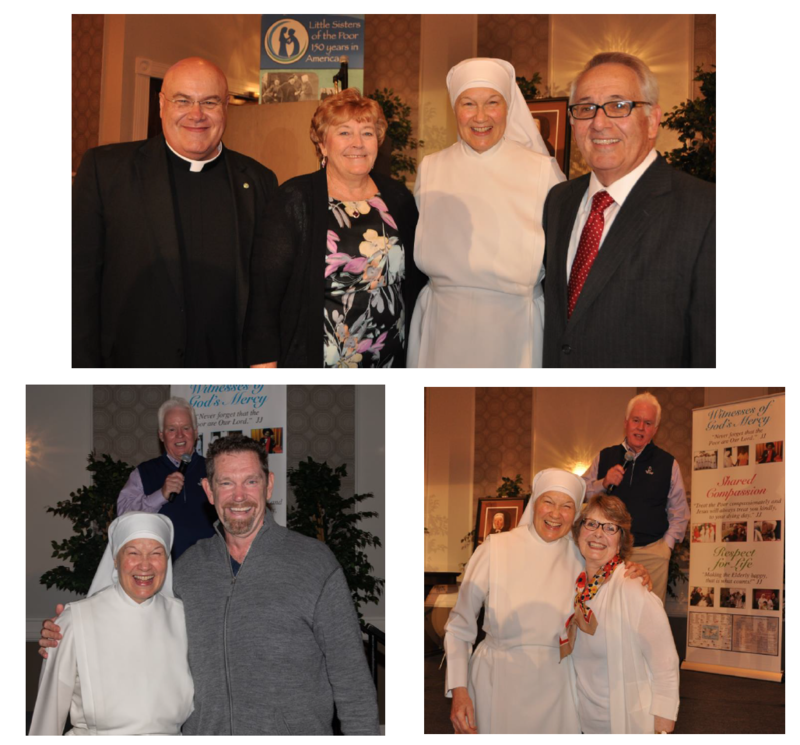 The Sisters happily handed out wonderful presents from the Board of St. Francis Auxiliary, St. Thomas of Villanova, St. Alphonsus and St. Albert the Great parishes. We are grateful for the donations, visits and gifts we received from so many you – individuals, businesses, parishes, and schools. Thanks also to Tom McGinn, our volunteer photographer, who took Christmas portraits of our Residents. Have a blessed, healthy and happy 2019! Hope to see you at our Spring Concert on Saturday, March 30! Click here for more information. Thank you! Working our Way Towards Spring!